There are a lot of great personal-finance books out there — here are a few of my favorites — but despite the diversity of titles (and subject matter), they all share a remarkably similar format. These books are money manuals in which the author shares prescriptive advice. They tell the reader how to get from point A to point B. All this is to say: For years, I've believed there's a hole in the market waiting to be filled, a place for a story-based book about money. Meet the Frugalwoods isn't a money manual. It isn't fiction. It's memoir. The book covers ten years in the lives of Liz and her husband Nate, from their post-college job-hunting experiences in Kansas to purchasing the afore-mentioned Vermont homestead. Through their story, Liz shows readers it's possible to move from a life of consumerism to a life built around frugality and purpose. In some ways, the book seems to contradict the blog. On the blog, Liz maintains that she and Nate have always been savers: “Mr. 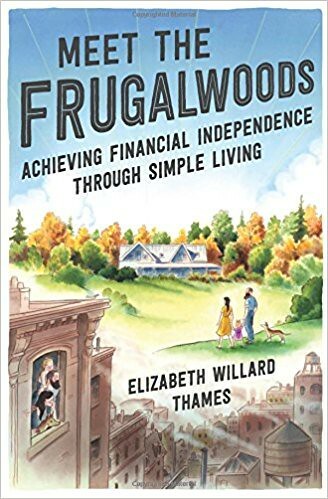 Frugalwoods and I have always been frugal — it’s just how we’re wired.” In the book, she paints a picture of a couple that succumbs to run-of-the-mill American consumerism before being liberated by a philosophy of extreme frugality. In a quest for more meaningful work, Liz took a position with AmeriCorps in New York City. Her job was to raise money for a small non-profit organization. The experience was formative. It taught her the essence of extreme frugality. (Her monthly food budget was her $120 food stamp allotment. She ate on four dollars per day!) Still, she managed to save $2000 of her $10,000 annual salary. Liz lived in the Crown Heights neighborhood of Brooklyn, where people were poor and struggled to get by. During the day, however, she hobnobbed with billionaires, seeking contributions to her non-profit. It was a jarring juxtaposition. In time, she moved to Boston to be with Nate (who had found work there as a computer programmer). She found a job doing fund-raising for WGBH, Boston's public broadcasting station. They fell into a regular middle-class lifestyle, complete with lifestyle inflation. I was promoted to senior development associate, accompanied by a raise, and decided to start getting my hair cut at a chic salon in Harvard Square that a woman in my office recommended. They massaged my neck, brought me herbal tea, washed my hair, cut and styled it, for just $120. The fact that I used to eat for an entire month on that same dollar amount didn't register at the time. I worked hard, so I reasoned I deserved to treat myself. What was the point of this job otherwise? Over the next few years, Liz and Nate moved to Washington, D.C. — and then back to Boston. Liz went back to school to get a masters in public administration. They bought a house. They got a dog. From the outside, everything seemed rosy. On the inside, however, it felt like something was missing. 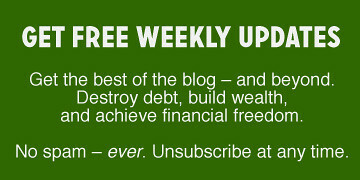 “We stopped micromanaging our spending,” Liz writes. “By which I mean I had no clue what we spend in any given week, month, or year.” But the increased spending didn't bring increased happiness. Now that I'd experienced a life of spending $40 a week on artisanal cheeses and $120 on haircuts and $200 on dinners out, I realized it wasn't what I wanted. What was the point of being able to buy whatever I wanted if I didn't control my time?